Imagine you find a book in which the chapters are randomly arranged. You would want that the book followed some structure. Right? Similar is the case with a website that does not have an easy-to-follow structure. This is where siloing comes into the picture. It is an SEO architecture technique aimed at optimizing a website’s structure by creating strong keyword based themes on the site to improve the relevancy of the website in the eyes of the search engines. A silo structure is the organization of a website where topics and relevant information are grouped together. The first benefit of using silo structures is being able to send maximum link juice to the desired content and rank easily for the keyword. Apart from SEO, silo structure provides a better user experience with easy navigation resulting out of organized content. Users can easily find the information they are looking for. Website Silo Architecture – How it Works? The Keywords – The website is organized by keywords. Thus, it is important that you come up with high traffic keywords that the site targets. You should get the main keywords as well as secondary keywords. Keep the structure 2 to 3 levels deep so that the child pages get enough links. Silo Content – This is the main part of the process. Create a WordPress page content using main keywords and rich images. Don’t forget to include a table of content and comparison tables. Alternatively, you can keep the category and the silo page URL same. You redirect the category pages to their respective silo pages. Interlinking – A proper internal linking strategy is important in the silo structure to make sure that Google determines relevant content on the website. All the blog posts should link back to the parent silo pages and blog posts can link within each other. A silo page should link to the children in the same silo. The homepage should have links to all the silo pages. Such interlinking ensures that maximum link juice is passed to the silo page and it is ranked higher on Google search. Here are some of the most useful WordPress Plugins that help you implement a silo structure for your website. Related Posts for WordPress – This WordPress plugin offers the ability to link related posts to one another with a single click. You simply need to activate the plugin and specify the number of posts you want to relate and the plugin does it for you. WPCashLinks LITE – It is a plugin designed to let you convert keywords into cash links by linking them easily with your affiliate links. You can create a silo structure with this plugin by interlinking the inner pages quickly. SEO Ultimate – An all-in-one powerful WordPress plugin, SEO Ultimate consists of tools like Siloed Categories Widget to construct siloed navigation on the website. 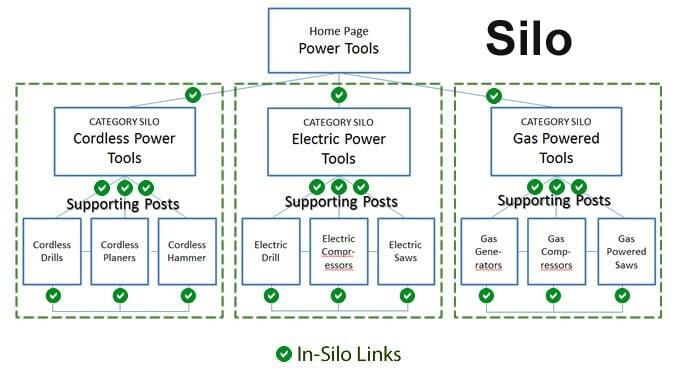 It allows enabling ‘Silo Linking’ mode for effective interlinking for silo structure. Breadcrumb NavXT – This plugin generates locational breadcrumb trails for a WordPress site. The trails created by this plugin are highly customizable and suits any silo structure for the site. Custom Sidebars – This WordPress plugin allows you to display custom widget configuration dynamically on any post, page, category, archive page or post type for successful linking of all the posts in the parent silo page. Redirection – The Redirection plugin helps manage redirections easily to reduce errors and improve site rankings. You can redirect the category pages to their respective silo pages when creating a silo structure. Yoast SEO – This powerful WordPress plugin provides a toolkit that helps create silo structure for your website. Using this plugin, you get full control over breadcrumbs and automatic internal linking suggestions. Redirect Manager takes care of redirecting and keeps the site healthy. 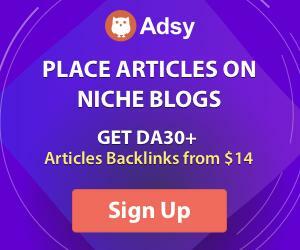 No Sweat WP Internal Links Lite – This plugin makes your siloing easier by creating internal links among your pages and posts. Create silo structures easily and have complete control over them with this WordPress plugin. A powerful SEO tool intended to get you more traffic, WordPress Silo Builder is designed to help you create the perfect silo architecture for your website. With this comprehensive, easy to use tool, you just need to add your keywords to your main silo and add your sub-categories and supporting posts. The framework takes care of all the dynamic linking to get smooth site architecture for you. Content in the same silo links only to itself and this creates a powerful inter-linking ideal for silo structure. This is a painstaking process that Silo Builder makes easy and quick for you. It saves you time, helps you increase indexation, enhances usability and gets your website ranked for properly structured architecture. Silo Builder is a design framework with drag and drop facility to help you create your website structure effortlessly. The tool creates a hierarchy of content connected by internal linking structures based on the primary theme. You can add your silo keywords, categories and supporting articles using the Silo Builder interface. The tool handles all the interlinking and navigation to create a perfectly siloed structure for the website. You can easily add navigation to your pages by adding the Silo Builder widget wherever you want the navigation to appear on the website. It is also possible to embed the widget into any custom widget and use the drag and drop builder to insert anywhere in the design. Once this widget is added to the builder, a menu is added automatically to pages and posts. This feature has entirely replaced the WordPress URL structure for the creation of a silo landing page – the main landing page, a category page – supporting the silo page and supporting articles – linking up to the category and landing page and interlinking within the posts.